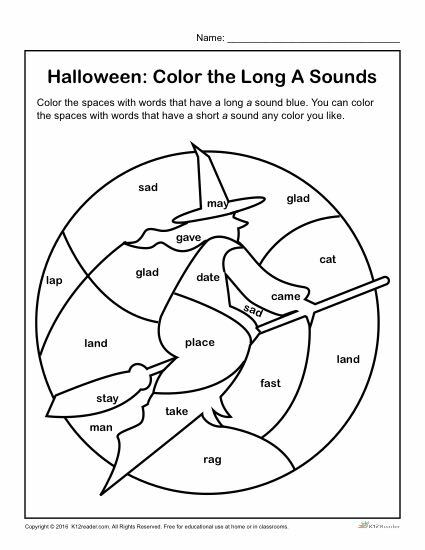 Practice sounding out long a with this printable Halloween Coloring Activity. Students will be asked to color the spaces with words that have a long a sound blue and color the spaces with words that have a short a sound any color they like. This printable worksheet is ideal for K-2nd Grade, but can be used where appropriate.